Tunneling | AMR, Inc. Tunneling | AMR, Inc.
AMR applies decades of mining knowledge and experience to the tunnel construction industry. Our atmospheric gas monitoring, Wi-Fi communications, asset and personnel tracking, ventilation optimization, and collision avoidance solutions increase safety, efficiency and productivity and assist any tunneling contractor or operation achieve its goals. AMR products provide vital data and communications for any sized project. High-speed serial, Ethernet-based or wireless systems provide real-time sensor data and access to information from multiple computer terminals including remote off-site locations. 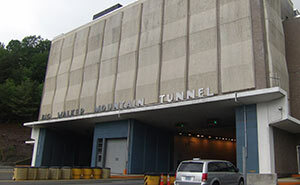 Common applications include underground subway tunnel construction, water / wastewater utility tunnel rehabilitation, and mountain tunnel projects. In addition to our own products, we partner with other groups to provide value-added solutions such as remote telemetry, ventilation optimization, and SCADA integration. AMR is dedicated to providing tunneling construction customers with products that get the job done, improve employee safety, and reduce operating costs as well as downtime.